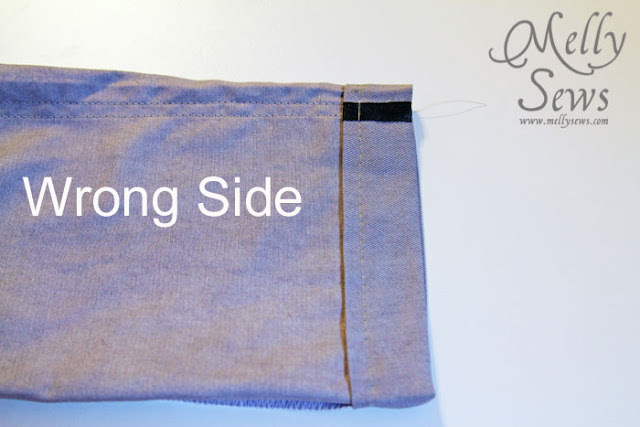 Today I’m going to show you how to blind hem with your sewing machine. It’s really easy, and really worth it to give your garments a professional finish. 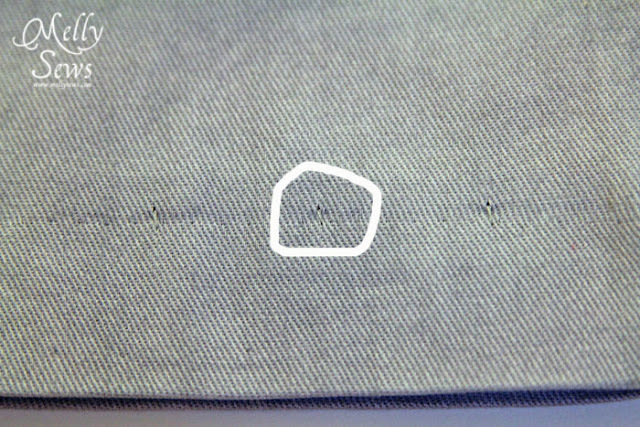 In my case it’s on a fashion disc that I change out of my machine, but most newer machines will have this stitch as well. I’m going to show you this hem on a pair of pants. Start by pressing your hem, making sure that the raw edge is turned under at least 1/2″. Baste the hem in place with a seam allowance 1/4″ from the top of the hem. 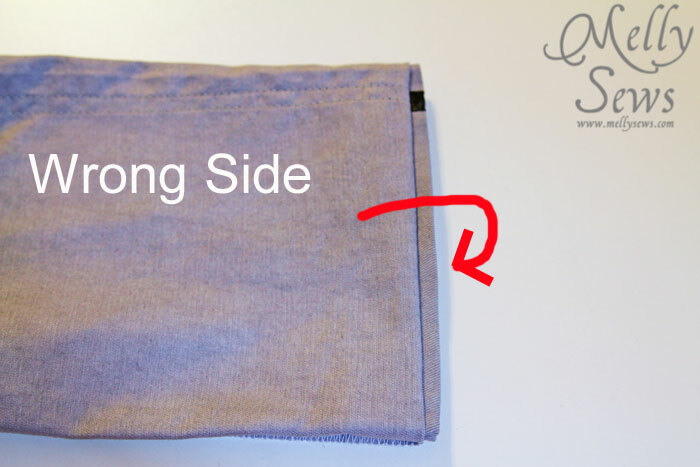 Fold the hem to the right side, so that you can see the 1/4″ seam allowance sticking out. 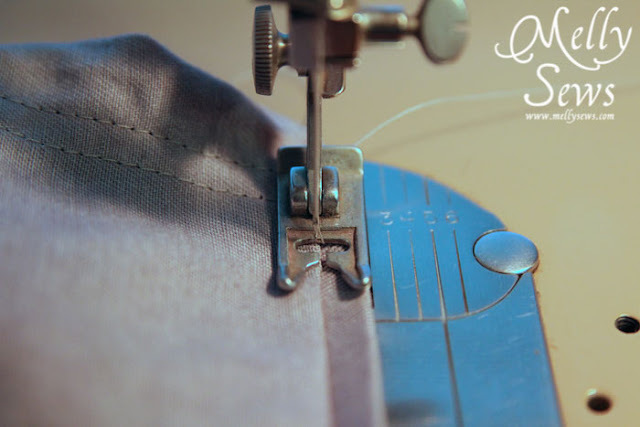 You’re going to line the hem up in your machine so that the straight stitch part of the stitch lands on the seam allowance, and the needle will barely go onto the pants when it zig-zags to the left. Use your fly wheel to make sure you can line your needle up precisely when it goes to the left. 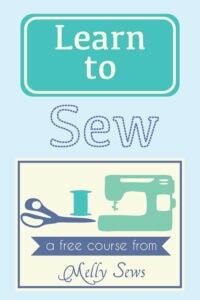 Sew around the hem. If you choose to backstitch make sure you do this on the straight stitch part, not the zig-zag part. Go slowly as you sew around, making sure not to zig-zag too far to the left. 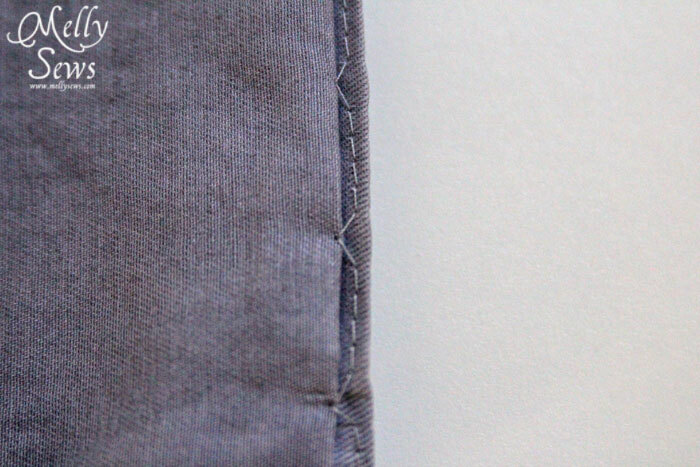 Your stitching will look like this inside. Remove the basting stitches and press the hem again. This is the final result from the outside. 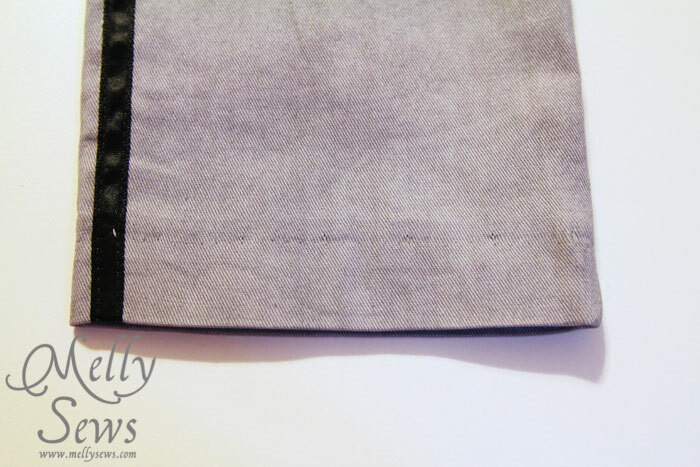 And a close up – you can barely see the stitches, hence, a blind hem. 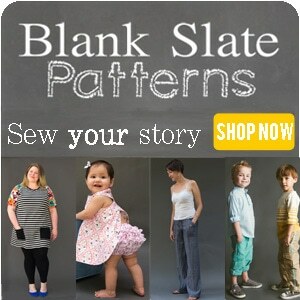 Love this stitch! Use it on all my dress pants when I alter them for other people. Nobody really knows that you’ve used the machine for it, as the stitches are quite invisible! Um I might have been doing this backward haven’t been able to figure out how to use this stitch on rtw pants- only on new items (and upside down). Guess I must be missing more brain cells than I thought. . . . Thank you so much Melly! I had no idea my machine had that stitch and I just ran down to check! And it does! I’m so excited! I’ve been making lots of little dresses lately from vintage patterns and they always say blind hem the hem of the skirt! Well I am not a fan of hand sewing so I always just straight stitched the hem. I can’t wait to give this a try now! I bookmarked this post! I can never remember how to get set up for a blind hem, and this post was SUPER helpful when I hemmed my boyfriend’s pants over the weekend. Thank you! You are the first person who has explained this in a way I understand! Thank you!! Thank you so much for the easy instructions! Saved me so much frustration!!! I just don’t get it!!!! When I try to do the folding there is always a fold on the outside, what am i doing wrong? 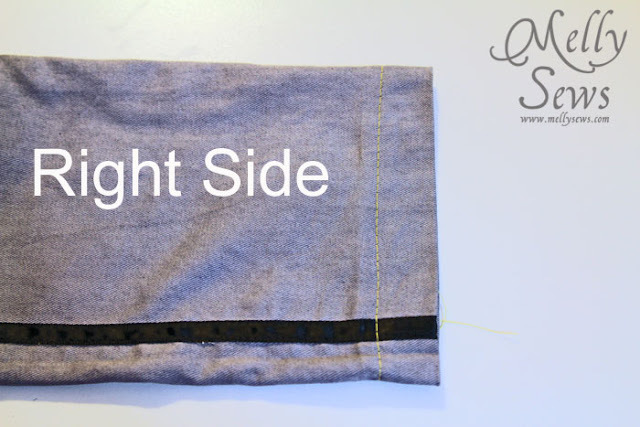 If you stitch too far to the left when the needle zigs over, you’ll end up with a fold on the outside. You’re trying to catch just a few threads on that side and keep the rest of the stitching on the seam allowance. Thanks to this, easy to follow tutorial, I just successfully hemmed my first pair of dress pants! This is exciting! Thank you. ?